A data crunching firm co-founded by Facebook board member Peter Thiel is investigating links between one of its employees and Cambridge Analytica. Palantir Technologies acknowledged Wednesday that one of its employees had contacted workers at Cambridge Analytica, the controversial data firm that accessed Facebook user data on 50 million Americans, in 2013 and 2014. The admission raises questions over whether other companies or individuals had access to or knowledge of Facebook data that was improperly harvested by Cambridge Analytica, a political data firm that worked on President Donald Trump's 2016 campaign. Palantir, which provides services to intelligence agencies and the US military, was co-founded by Thiel in 2004. The prominent Silicon Valley investor, who supported Trump in 2016, also sits on the board of Facebook (FB). Emails obtained by CNN show repeated contacts between Palantir and Cambridge Analytica. 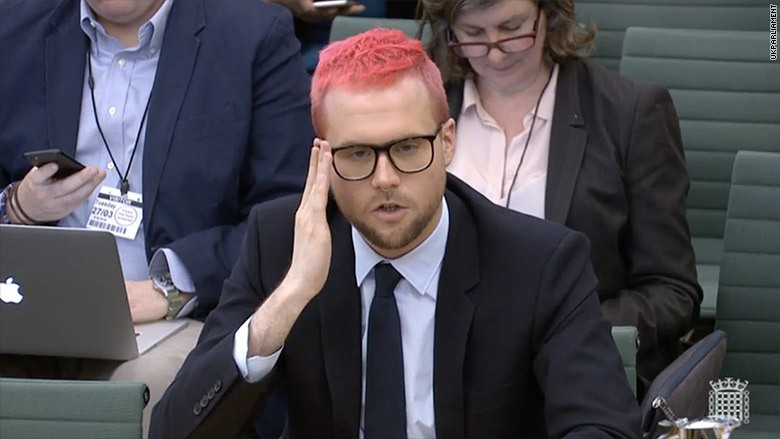 The initial allegation of collaboration between Cambridge Analytica and Palantir came Tuesday, when whistleblower Christopher Wylie told UK lawmakers that senior Palantir staff had access to the user data gleaned from Facebook. 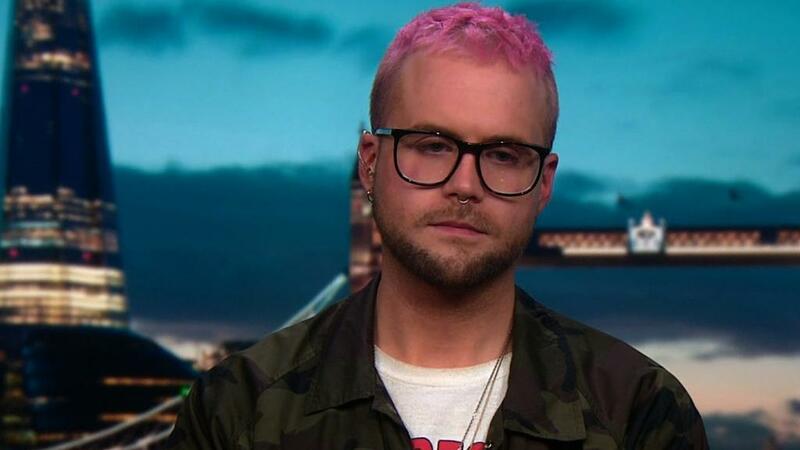 "There were senior Palantir employees that were also working on the Facebook data," Wylie told a parliamentary committee. "There were Palantir staff who would come into the office and work on the data." Palantir denied on Tuesday that it had "ever worked on any Cambridge Analytica data." But the company released a second statement after evidence emerged of emails between Cambridge Analytica workers and a Palantir employee named Alfredas Chmieliauskas. 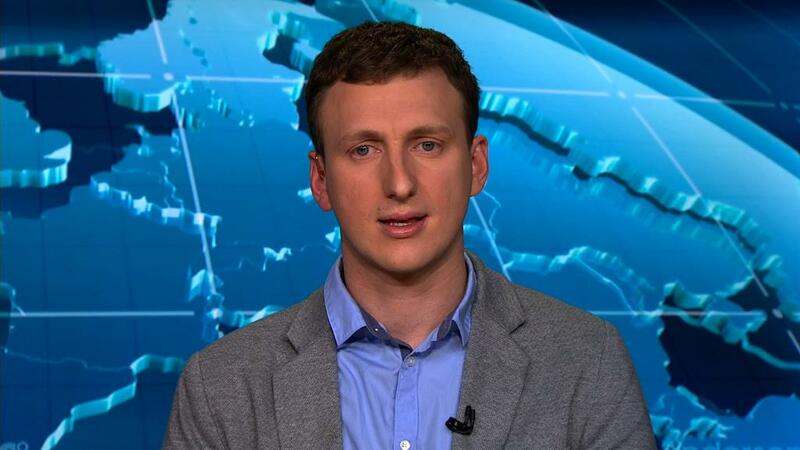 Chmieliauskas has worked in business development for Palantir since April 2013, according to his LinkedIn profile. He did not respond to a request for comment. Facebook has said that its user data was initially collected by a Cambridge professor named Aleksander Kogan for academic purposes in line with its rules. The information was later transferred to third parties, including Cambridge Analytica, in violation of Facebook's policies. Kogan told CNN last week that he suspects thousands of other developers and data scientists had used similar methods to gather information on Facebook users. He doesn't believe he broke Facebook policy. Cambridge Analytica, which was backed by former White House chief strategist Steve Bannon, as well as Republican donors Rebekah and Robert Mercer, reportedly used the Facebook data to create models that could be used to influence voters. The company says it did not use any Facebook data as part of its work on the 2016 US election. The emails obtained by CNN show that staffers from Cambridge Analytica and Palantir Technologies repeatedly contacted each other to discuss data as well as a potential business relationship. In one instance, Chmieliauskas sent a message from his Gmail account to Wylie in May 2014. "I have a left field idea," he wrote. "What about replicating the work of the cambridge prof as a mobile app that connects to facebook? For example compare your personality to your friends app or some other spin to entice people to take a test." "That could be a valuable leverage negotiating with the guy," he added. At the time, Cambridge Analytica was in discussions with Kogan, the Cambridge professor, about collecting Facebook user data through survey apps. Wylie said Tuesday that there was no official business contract between Palantir and Cambridge Analytica, but "there were Palantir staff who helped build the models that we were working on." Palantir provided emails to CNN that showed that Cambridge Analytica had sought a business relationship with the company as early as 2013. "Thanks again for your interest in Palantir and for reaching out to us," a Palantir employee wrote in a February 2013 email to Cambridge Analytica CEO Alexander Nix. "As discussed, Palantir has not been involved in any campaigning efforts." "Our London team has limited capacity and needs to devote this to our current work streams," the staffer added. "I'm sorry to come back to you with disappointing news." Nix would try again 11 months later, sending an email to Chmieliauskas in January 2014 that asked "whether Palantir would be interested to help us with a dig data solution for political clients." "I've spoken to our management here in the UK and basically, the situation is the same as last year," Chmieliauskas replied 10 days later. "We're understaffed and the project you're working on is significantly different from what we've been doing already." Even without a formal business relationship in place, emails obtained by CNN show that Chmieliauskas was in touch with Wylie throughout the spring and summer of 2014. Cambridge Analytica said in a statement on Tuesday that Wylie had engaged in speculation, and provided the parliamentary committee with "false information." It denied that it had shared data with Palantir. It did not respond to a request for more information on Wednesday.